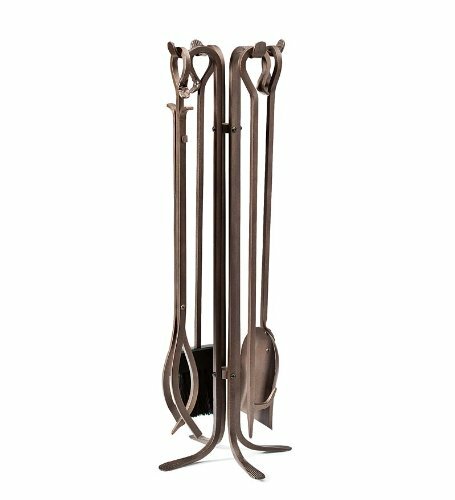 Plow hearth exclusive - our exclusive iron fireplace tool set is hand forged in a natural finish and represent solid, long-lasting value. The wrought iron tools are quality crafted in classic shepherd's Crook styling and finished with lovely grooved beavertail ends. Set includes four sturdy tools - poker, tongs, shovel and broom - plus matching stand. Size: regular set 7'' dia. X 27-1/2''H. Color: Bronze.